Discount available! Recommend LEVEL SENSOR - NORMALLY CLOSED to your friends and get your Discount. It is used to monitor the level of liquids in tanks. 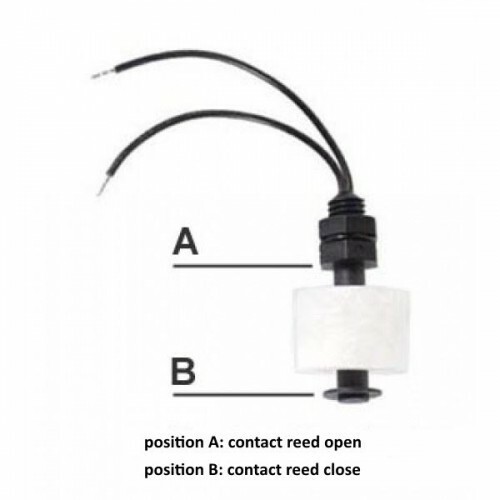 It consists of a float in expanded polypropylene that moves to the level of the liquid and a cylindrical body inside which there is a reed contact. When the liquid reaches the pre-set level, the reed contact changes state allowing a signal to be sent to the control system. switching current: 1.0A DC max. 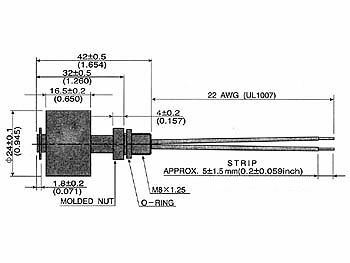 contact resistance: 150m ohm max.